Favourite cupcake flavours is a topic as hotly-debated in the C&D bakery as who’s turn it is to put the kettle on, and sometimes there’s only one way to settle it – with a good old-fashioned fight to the death (not for the kettle debate of course, that just tends to come down to who wants a cup of tea the most). 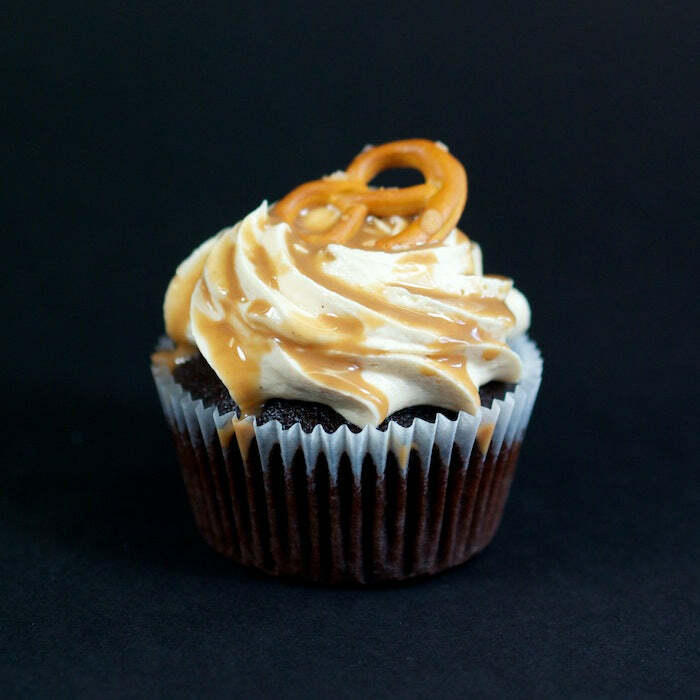 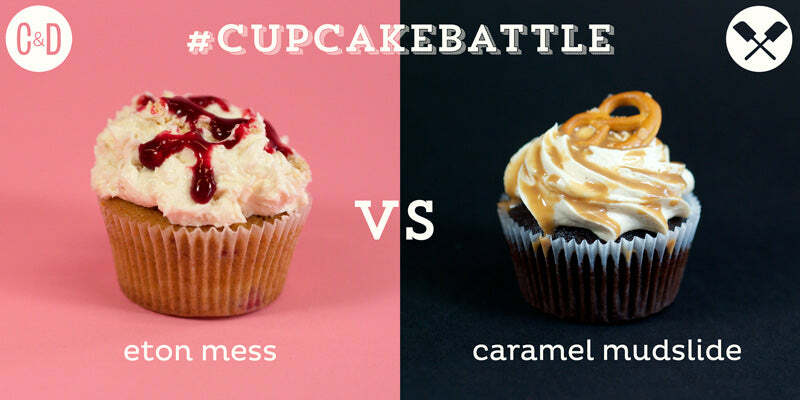 So it is that we’re running our first #CupcakeBattle over on Instagram: two awesome cupcakes, one victor, and everyone’s a winner! 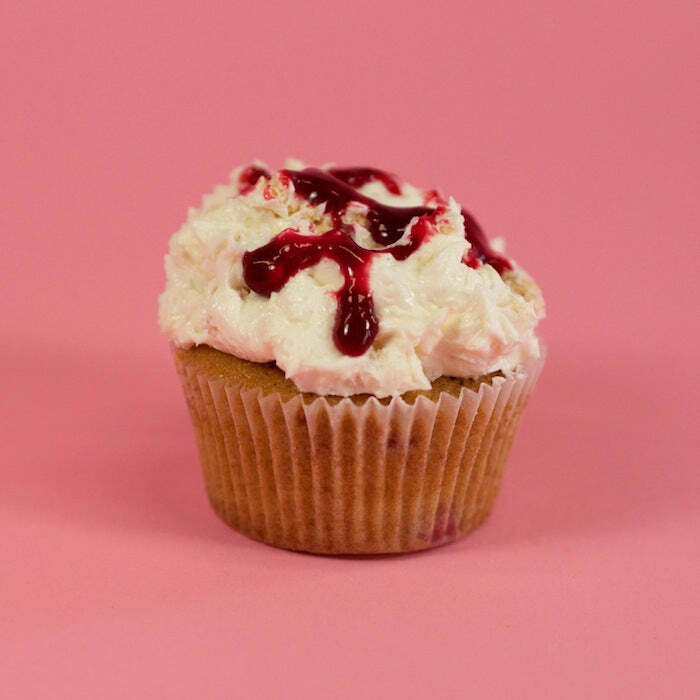 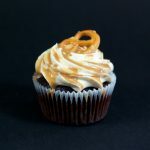 This week, Eton Mess vs Caramel Mudslide – whichever flavour gets the most ‘likes’ will win Guest of Honour status at our Covent Garden cupcake stall this Thursday, and we’ll have 24 of them to give away to people who can show us their phones with the winning cupcake ‘liked’ (one per person, subject to availability, natch) on the day. 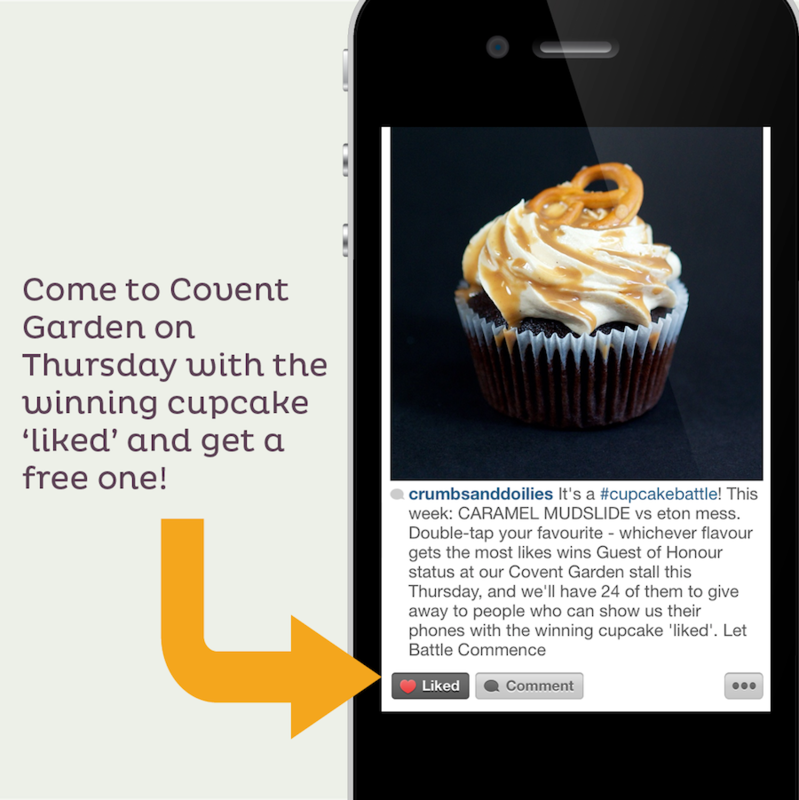 Click below for a quick preview of each flavour plus the location of the C&D Covent Garden stall, and Let Battle Commence!